This is an annual event that takes place this year on Saturday 7th October. 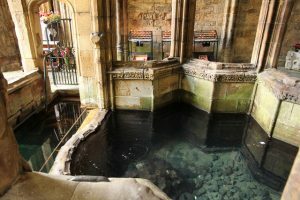 Holywell in North Wales is one of the few places in these Islands where you can visit an almost complete early pilgrimage site. This holy well is dedicated to St. Winifred and has an amazing abundance of water even in the driest of summers. The Divine Liturgy is served in the morning in the chapel directly above the holy well. This is then followed by a procession to the holy well itself, with the service of Blessing of the Waters.